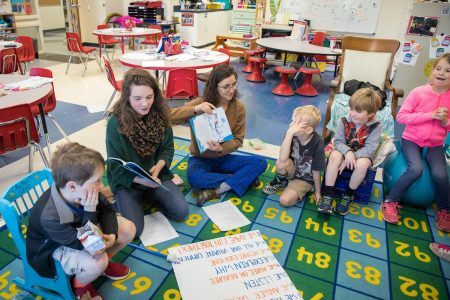 Faith Powell ’18 (middle left) and Lydia Hamd ’18 (middle right) read The Cat in the Hat to students at James River Day School. 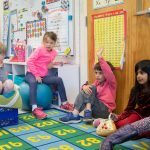 This kind of thoughtful discussion was the goal for Randolph’s new Philosophy for Children program at James River Day School this spring. 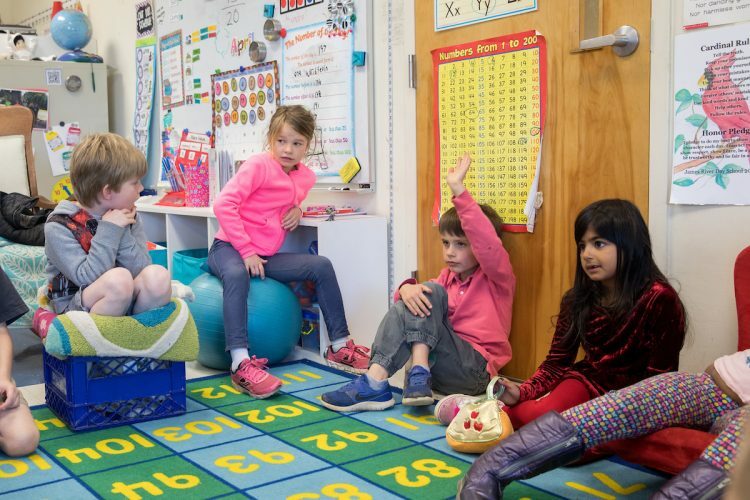 Created by Powell and Kaija Mortensen, a Randolph philosophy professor, the weekly sessions were designed to introduce philosophical concepts to children at an early age. 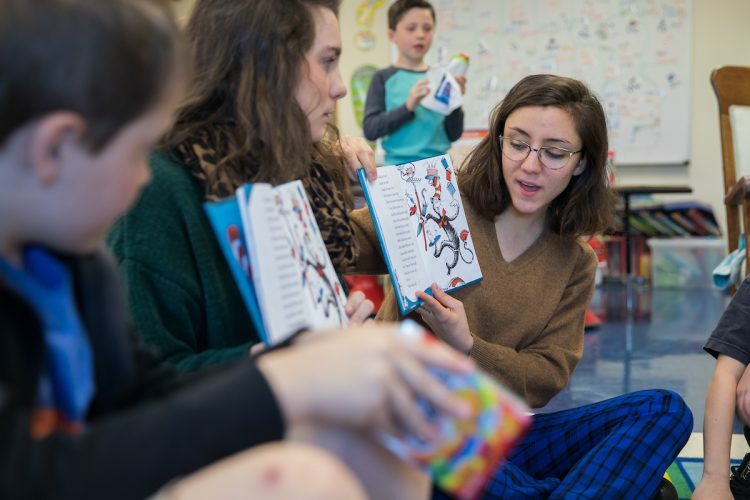 One of the hallmarks of the program was “Philosophy Rules,” a document that helped guide the conversation and reminded the students to listen to and respect each other’s opinions. The program, Mortensen added, has a plethora of positive effects on young children. 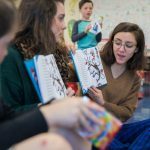 Several other philosophy majors, including Tristina Balsamo ’19, Lydia Hamd ’18, and Meredith Alwine ’20, helped lead the sessions. Balsamo loved breaking down complex philosophical concepts into terms the students would understand.